It is strong, the blog is!!! : The Golden Ratio "What i have Uncovered"
here is what i have managed to uncover in understanding the Golden Ratio or Phi as its called. Here is a small symbol of what is looks like. 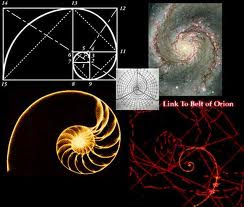 The Golden Ratio is a greek symbol ("Phi") which represents a special number of 1.618. The ratio is said to have appeared in Geometry, Art, Architecture as well as understanding the human body and revealing it in plants as well as understanding the universe. "How do we do it!" if you did maths and paid attention like i didn't then you will know but for those of you who don't know theres a few ways to do it. One in the Fibonacci Series and the Geometric way. 0, 1, 1, 2, 3, 5, 8, 13, 21, 34, 55, 89, 144, ..
What i learned was to take a ratio of two successive numbers and divide each number by the number before it, if done you will find the following series of numbers. Eventually if you keep going you will end up with the "Phi"
Another way is the geometric way, so one way is in the form of a line. If you divide a line into two parts so that the longer part of the line (a) is divided by the smaller part (b) of the line which is also equal to the whole length (a+b) divided by the longer part (a). sounds a bit complicate so i gave it a shot and found this one out. to me its like taking a whole line with a value on it like 100, 1000 or 1 and get another line of the same value and take a quarter section and then divide both together then divide the longer section by the whole number. so the yellow square is at a length value of 1, come in halfway and you have 1/2 draw a line from the halfway mark to the top corner of the square that length will now be 5/2. then with a protractor draw a curved line along the squares side join the lines up and you now have the Golden Rectangle. you can also do it with the Golden Triangle. I have also noticed that obviously this triangle sits at 72 and 36 degrees but you can also do it with a 51.83 degree angle to also get the golden ratio. here is another pretty cool one which uses both triangles and rectangles the golden Spiral. So here are some definitions of what the Golden Ratio is, But what does this have to do with my project. 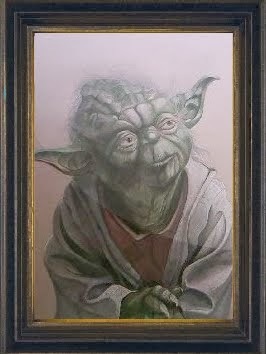 Well in an art form this has been used by some of the most talented artists of their time including Da Vinci Raphael and Michael Angelo. The Golden Rectangle is said to be the most visual pleasing of them all to look at and it is very useful for compositions if you take a look at this here. If you have a 1 by 1 square and add a square with side lengths equal to the length longer rectangle side then what remains is another golden rectangle. What you could do is keep adding more rectangles and keep this going to the desired size you want. then if you notice on number 5 there are split sections. This is what artists use for composition and construction of their paintings. in the post below this one is the explanation if use of the Golden Ratio used by artists. My theory is to hope to achieve this technique in my music and in the animation. so that is the next challenge to research the Golden Ratio in Animation. Good stuff to know about for your project.. Should make it even more interesting.